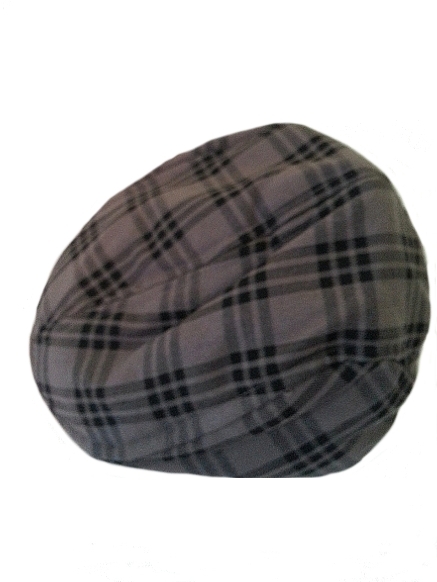 This gray plaid newsboy drivers cap a top choice for the well dressed laddie. 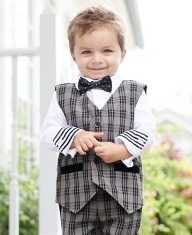 He'll love the vintage gray plaid material - just like Dad or Grandpa wears. See all of the Gray Plaid Collection shown below. A finishing topper to many a great look. The cap is structured yet comfy. 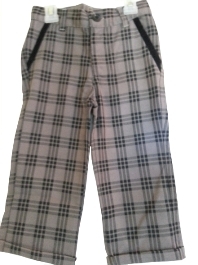 Made of a polyester/cotton blend. Spot clean with a damp cloth. The 2T-4T is 18 1/2 " circumference.